A house is a valuable investment which shouldn’t be taken lightly. You naturally want to get the best home for your money, and like most people, you may make your choice based on the homes external features and facade. This, however, is a huge mistake to make (obviously) because there is always the risk of the house having some underlying problems. The best way to get to the root of these problems is with the help of an efficient home inspection service, like we offer here at Bulldog. 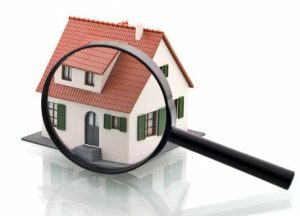 The importance of having this home inspection with professional house inspectors cannot be understated. The price you pay for the service is nothing compared to what you might have to pay if the examiner unearths the property’s unknown plumbing, electrical, HVAC or even pest related problems. You can then have minor problems rectified by the owner or look for another house if there’s a major problem. You can also use minor defects as negotiation tools to bargain and get a better rate for the house. Talk to one of our professional home inspectors in Omaha today! House inspectors check the home you plan to buy to ensure you know what you will be buying. They do this through different examinations where the first one is a general or resident check of the home. This is where the inspector takes a look at the house’s structure, plumbing, ventilation, HVAC, electrical, roof exteriors, insulation, and interiors. They then produce a inspections report suggesting the necessary repairs or improvements to the house. Home inspection may also offer termite checks for signs of structural damage inflicted by termites and other insects, which is generally performed at an additional cost. Another important inspection service to check off the list is radon inspections. This is where they check for radon, a radioactive gas formed with the breakdown of radium. Radium occurs naturally in areas over granite and is dangerous to health because the gas tends to accumulate in the house’s restricted areas like basements and attics. The concrete slab floors, basement foundations, and water drainage systems may have to be sealed in case of high radon levels. This is rather expensive, which is why these inspection tests are so necessary. The other inspections worth conducting before buying a home are well water, oil tank or septic tank testing. They are usually done by general but qualified personnel at an additional cost. 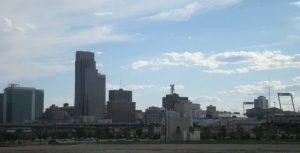 It’s the examiner’s duty to ensure the dream home you think you are going to buy is indeed a dream home in Omaha, Nebraska and not turn out to be a nightmare for you. It’s their duty to only identify problems, and not to correct or repair anything. Home inspections companies in Omaha may at the most make recommendations to take care of the problems. It helps alleviate the risk of the loan you take to buy your home by locating its faults and problems that may be expensive to repair. It helps save money using home inspectors (other than Amerispec or abiomaha) because you can either forget the house or look for something else if the repairs are too expensive. You can also alternatively ask the seller to do the repairs for you or you can negotiate and buy your home at a lower rate. Ask our professional Omaha home inspectors to do this for you. Home inspections in the Omaha metro also benefit sellers because it helps identify issues on time. Sellers can then make the necessary home repairs to reduce the chances of buyers steering away from the property. It also lets sellers get a better price for their home. It makes potential buyers more confident about their investment. They find it easier to reach a formidable rate for the house if the house doesn’t need any serious repairs. A clean report from an inspection service like ours goes a long way in getting the most for your home. Though these inspection tests are time consuming, needing about three hours to complete, it is very important so know all there is to know about the house. 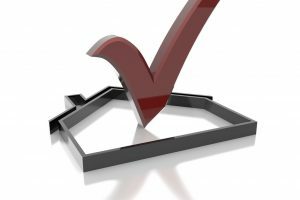 Omaha’s home inspection benefits both buyers and sellers. It gives buyers some peace of mind because they know the status of the house and whether or not the house is in good shape. It also acts as a negotiation tool that buyers use to close the deal. Sellers also benefit from house inspectors because it helps them set a price for their homes, and to repair any problems before putting it up for sale. Also, an inspection report proves helpful to the seller because it is proof to the buyer that the seller has nothing to hide. So be sure to schedule a home inspection appointment today from the best in Omaha! Call Bulldog Commercial and Home Inspection at (402) 552-8461.